The #1 Stereoscopic 3D Gaming (VR Gaming, 3D Gaming) and VR Resource | Meant to be Seen - Sony PS3 in S-3D! Downloads Section Up! Latest MTBS Stats! I’m just getting myself settled from attending the Stereoscopic Displays & Applications Conference in San Jose this week. It was a very exciting show that featured many of the leading minds in the S-3D industry. 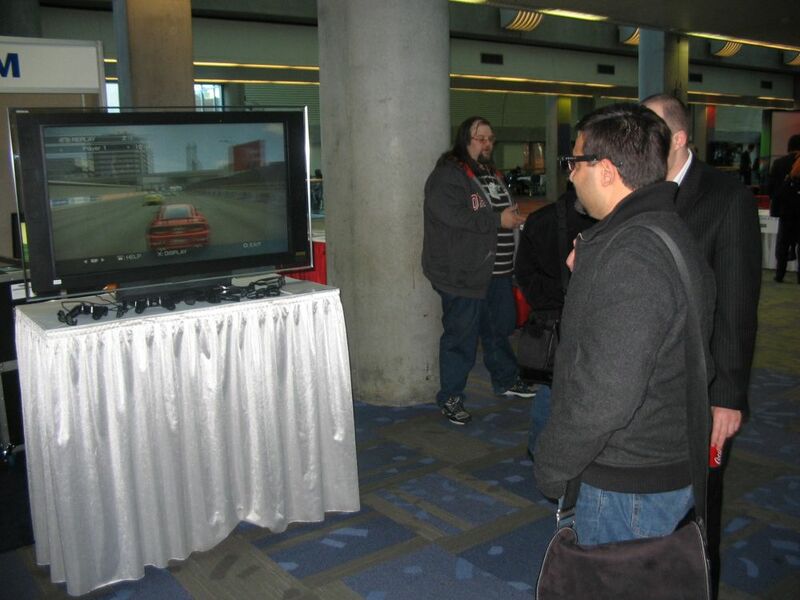 Seen above, I had the opportunity to play a racing game in stereoscopic 3D on a Sony Playstation 3. It was done on a prototyping system, and the game was customized for this. It was running on an interlaced polarized 3D HDTV solution. Our downloads section is again working properly, and I have put most of the original files back online. MTBS’ Unique Visitors: 7,525 for the month of January, and our best month so far. Websitegrader.com: 82% (up from 69% two months ago). MTBS is also ranked in the top 3% of all websites! We have much bigger goals for our community, and I think this is a good indicator that the interest in S-3D is quickly growing above and beyond the core group we started with a year ago. Please continue your hard work in making stereoscopic 3D a success for everyone, and keep an eye open for some exciting new features in the works for mtbs3D.com. MTBS would be nothing without its members, and I wanted to again express my gratitude.